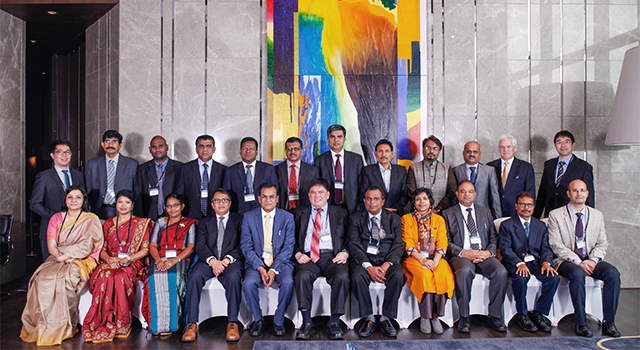 At their meeting in Astana on 3 May at ADB’s 47th Annual Meeting, nodal officials of SASEC member countries – Bangladesh, Bhutan, India, and Nepal – endorsed the SASEC membership of the Maldives and Sri Lanka. They reviewed progress of SASEC projects whose total value has reached over $5 billion. Mr. Juan Miranda, ADB South Asia Regional Department Director General chaired the meeting. The four founding members of SASEC were represented by Mr. Saifuddin Ahmed, Joint Secretary, Economic Relations Division, Ministry of Finance, Government of Bangladesh; Mr. Nim Dorji, Joint Secretary, Ministry of Finance, Government of Bhutan; Mr. Nilaya Mitash, Joint Secretary, Department of Economic Affairs, Ministry of Finance, Government of India; and Mr. Madhu Kumar Marasini, Joint Secretary, Ministry of Finance, Government of Nepal. The nodal officials reiterated the importance of and their commitment to effective regional cooperation. 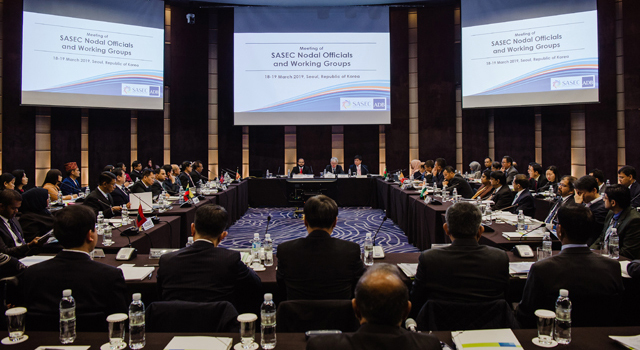 The nodal officials discussed progress of the SASEC Program over the past 12 months in transport, trade facilitation, energy, and information and communications technology (ICT) sectors. 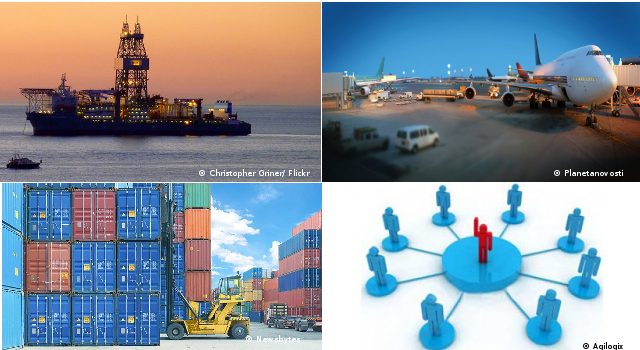 Officials highlighted the continued need to prioritize road, railway, grid connectivity, and trade facilitation projects, stressing the importance of wider connectivity especially for landlocked countries. the expansion of SASEC to include the Maldives and Sri Lanka as full members, and extend invitation to Myanmar to join. ADB expressed its strong and continued commitment to SASEC, both as facilitator of financing mechanisms and in its functional capacity as SASEC Secretariat.